In this issue of Quick Tips, Phill Lewis offers assistance with recovering accidentally deleted emails. Read other posts in this ongoing series here, here, here. Deleting items by mistake does not necessarily mean that an item is gone forever. When you delete items (email messages, contacts, calendar, tasks, etc.) from your mailbox, they are first transferred to the Deleted Items folder. So of course, that’s the first place to look when you need to recover something. But what happens if an item gets deleted from the Deleted folder? After an item has been removed from the Deleted Items folder, it can still be recovered. By default, permanently deleted items will be held on the server for 14 days on Intermedia’s Exchange 2007/2010 and 2013 servers. 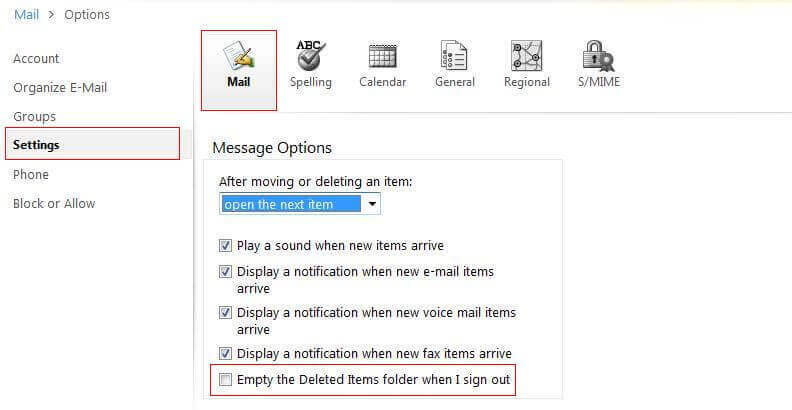 During this time (called a retention period), you can restore deleted items in Outlook or OWA. Please note: If you hard-deleted a folder by pressing Shift-Delete, you will only see items from that folder in the Recover Deleted Items window. You won’t find the whole folder there. Important note: In Outlook Web Access, you can only recover items deleted from the Deleted Items folder. To restore or purge items deleted from other mail folders using Shift+Delete (“hard delete”), you will need to use the Outlook client. Need more help? Looking for instructions for another version of Outlook or Outlook Web Access? Our comprehensive, illustrated guide covers Outlook 2007/2010/2013 and Outlook Web Access 2007/2010/2013. And of course, you can call us at 800-379-7729 to speak to a support expert.